It is America Recycles Day! 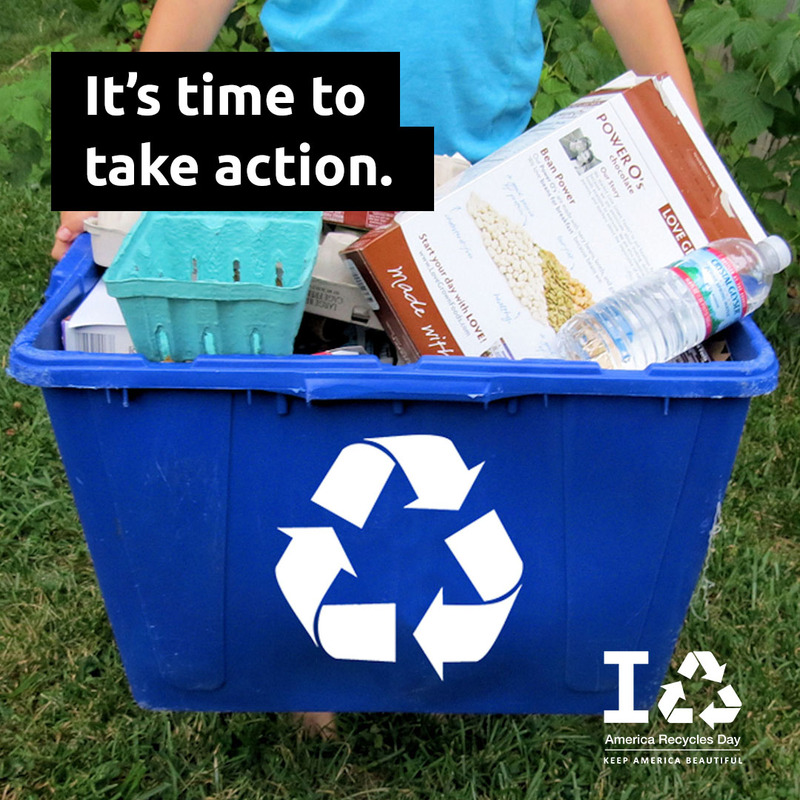 ARD serves as the perfect time of year to examine and evaluate your recycling practices at home and in the office. 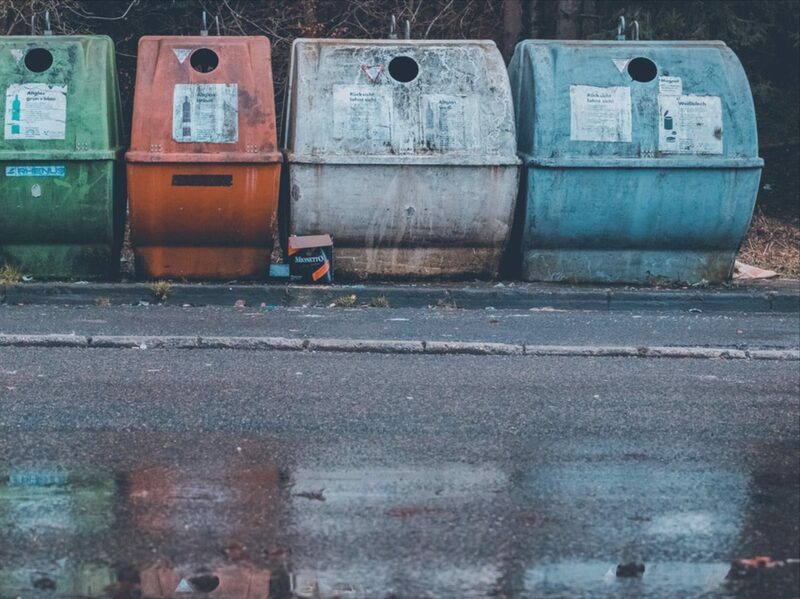 While recycling as an individual makes an impact, one of our partners at UWDC explains how property managers and HOAs can majorly amplify the impact in their communities with tips and best practices. For more information on business waste resources, you can also visit WasteFreeSD.org or attend one of our Green Business Solutions workshops. A thousand diligent people in California managing their waste efficiently can set a great example in a community and make a small impact on the environment. A thousand diligent property managers, on the other hand, can really move the needle. California is required to meet a state-mandated 75 percent diversion rate from landfills by 2020. Recycling increases the life of local landfills. Recycling and environment-based programs in local communities can institute change. Recycling batteries, as well as changing paint and cleaning products, can make a real difference. A community spending over an hour instituting diligent programs can accomplish more than one person moving cans from container to container. Property managers need to seek good resources for their communities and better avenues for getting rid of material. This starts by seeing trash not just as an isolated incident of trash, recycle, and yard waste, but as a foolproof program, like insurance or fire patrol. Centralizing the recycling program is key. Keeping the house of vendors managed by property managers under one centralized platform can reduce time, stress, and money. A good waste solution company can make sure property managers are compliant and shield them from fines. Being environmentally friendly is perceived as cutting edge by many associations and can lead to more business. By doing these things, property managers can remove inefficiencies, and drive business back to itself. Waste solution companies can provide simple, clean billing and prevent property managers from sitting on the phone for hours trying to resolve waste-related issues with disposal companies. Instead of property managers getting the frantic calls from their residents, the call is pushed out instead to waste solution companies, taking a huge burden off these managers. Property managers are the silent champions. They create better communities, even aside from the “green” things. They save money and time, among other things, because of the practices they tout to their residents. If property managers looked at their communities like companies, they could see that their actions support the cost of doing business and the cost of improving the environment and the community. If communities threw 400 light bulbs into landfills, it wouldn’t ruin the world. The problem is that if every community has that mindset, it can. Property managers can encourage better practice. Each California resident throws out an average of six pounds of material into landfills, found California’s 2016 Per Capita Disposal Rate Estimate from CalRecycle. The best property managers divert waste from landfills and do well in the community by educating its board about opportunities, education, and signage. For property managers with a number of tasks always in motion, outsourcing that responsibility makes budgetary sense. That way, people can work on the property manager’s behalf and work for those who don’t have the time. We need to look at these as programs – not just trash and recycling. Time, money, and your community’s involvement should all be looked at as a whole and not just problem, problem, problem. Look at it as an entire program: sustainability, waste diversion. Universal Waste Disposal Company is constantly looking for smarter waste and recycling solutions. Already, UWSD has launched a training site to help cities comply with environmental state laws. UWDS assists HOAs in California and businesses, such as Associa, reach their waste and recycling goals while saving money and resources. The result is full-service solutions that meet customer needs and exceed diversion goals, streamlining services, and managing programs and expenses. A local example here in San Diego shows potential. The County worked with Summit Property Management to create a recycling plan for the Rancho Villas HOA community of 304 units. The county switched out dumpsters; supplied residents with recycling bags, educational door hangers and recycling guides; digital program announcements on the program and informational tools from county specialists; and recycling carts. The program also provided bulk item options, light bulb recycling, curbside pickup, battery recycling, and ink cartridge recycling. Prior to implementation, the HOA provided limited recycling and 10 of 15 enclosures had no recycling. Now, residents have responded favorably to recycling outreach and recycling dumpsters.